Golden Age of Piracy by Hugh F. Rankin, report that the book is a 173-page study of piracy in the New World from the 1630s to the 1720s. Book reports or world history research papers on The Golden Age of Piracy, by Hugh F. Rankin, report that the book is a 173-page study of piracy in the New World from the 1630s to the 1720s. It offers a concise but full description of the political climate that gave rise to privateering, piracy’s slightly more respectable cousin, as well as to piracy itself. By describing the poor conditions that were the lot of the ordinary seaman, Rankin makes the reader understand why so many sailors gladly bore the risks associated with the crime of piracy. The book report should show that Rankin is now a professor of history at Tulane University in New Orleans, but a major portion of his life has been spent in the Carolinas, the central site of pirate activity in the New World. There are copious illustrations, some more successful than others. Rankin’s sources include a comprehensive assortment of contemporary documents, including the transcripts of various pirates’ trials. Overall, an interesting and well-written account of piracy up and down the Atlantic coast, The Golden Age of Piracy belongs on the bookshelf of any serious student of American history. The Pirates of the New England Coast research papers examine the book by Dow and Edmonds on piracy. History of Piracy Research Papers examine an order placed on History of Piracy with specific template requirements. 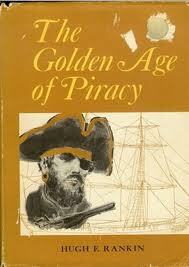 Paper Masters writes custom research papers on Golden Age of Piracy by Hugh F. Rankin.